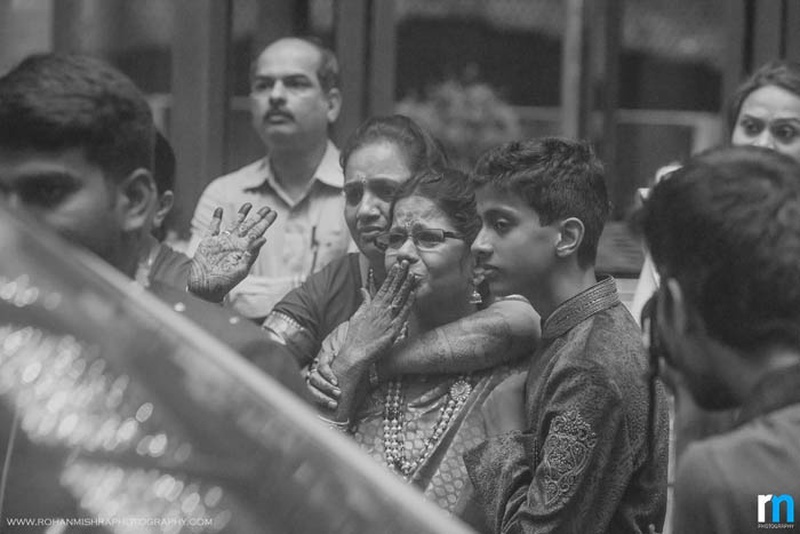 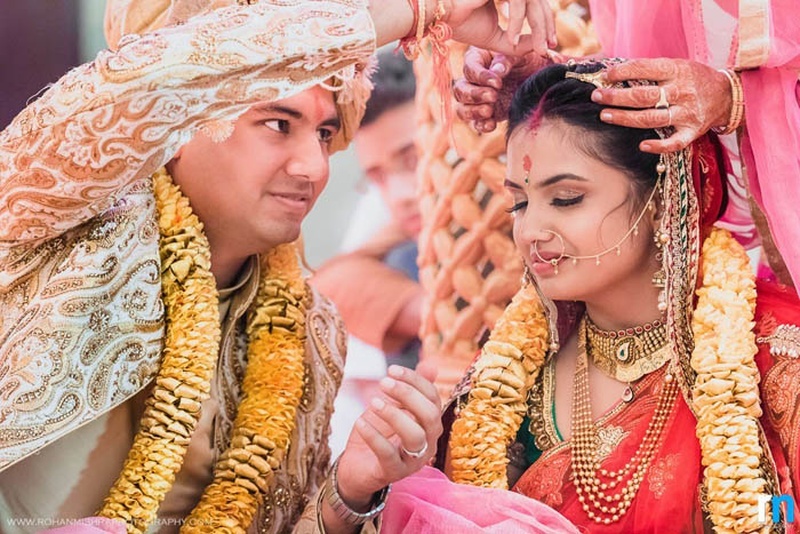 Every cross-cultural marriage we encounter just proves time and time again that love alone has the power to break the barriers of caste and creed. 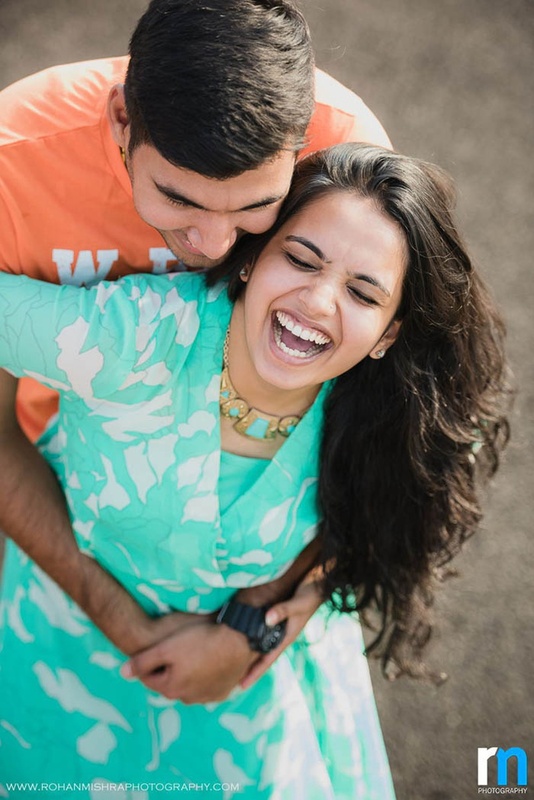 It sees beyond the hurdles created by culture, demonstrating that love is what makes the world go round! 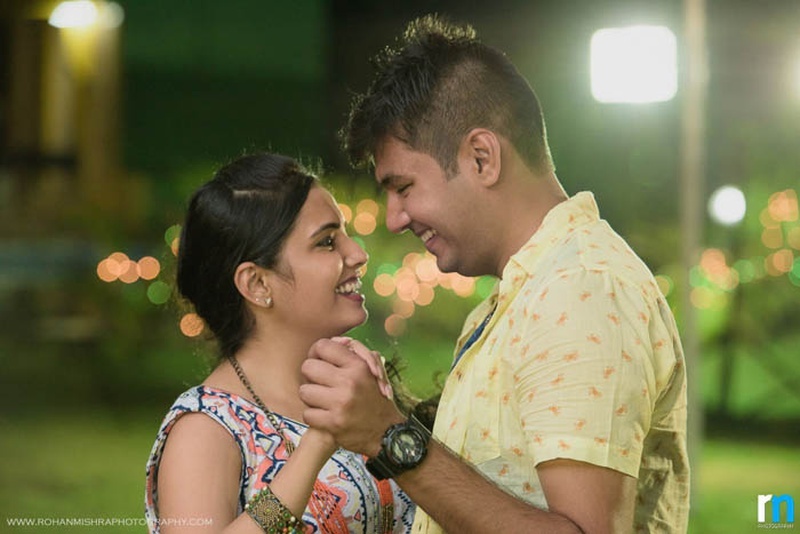 Rishikesh and Nikita was yet another blatant display to the world that love conquers all. 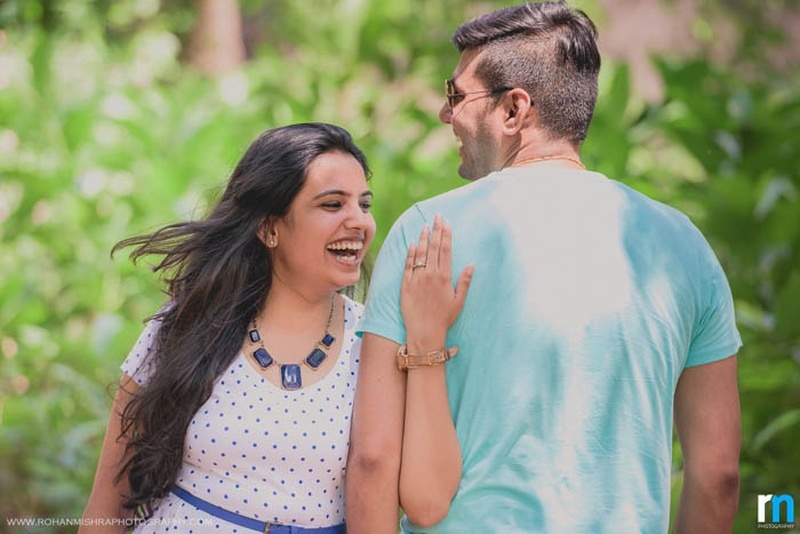 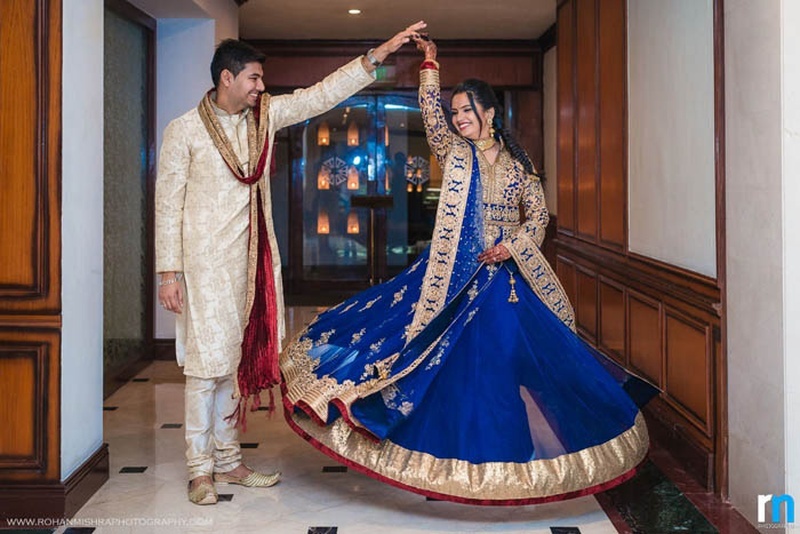 This duo's story dates back to when they were in the 6th grade, when this marriage was just the beginning of a friendship. 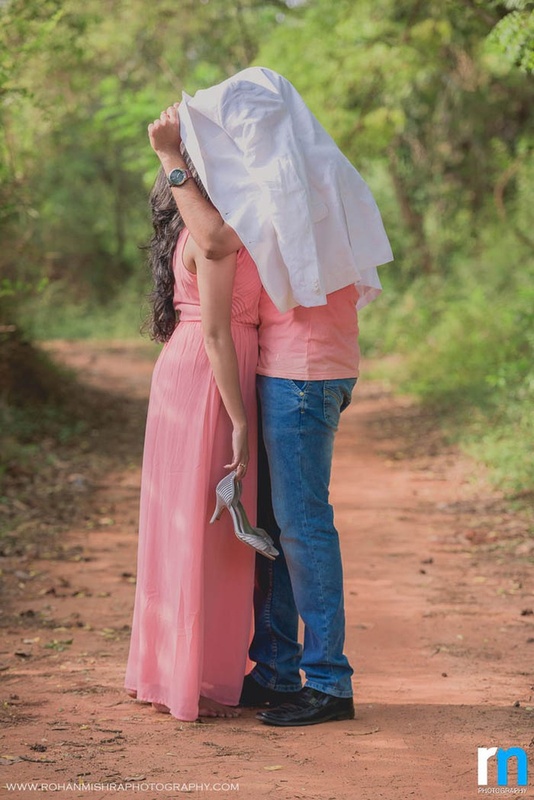 They kept in touch with each other on and off, and slowly but surely this friendship turned into a beautiful love story. 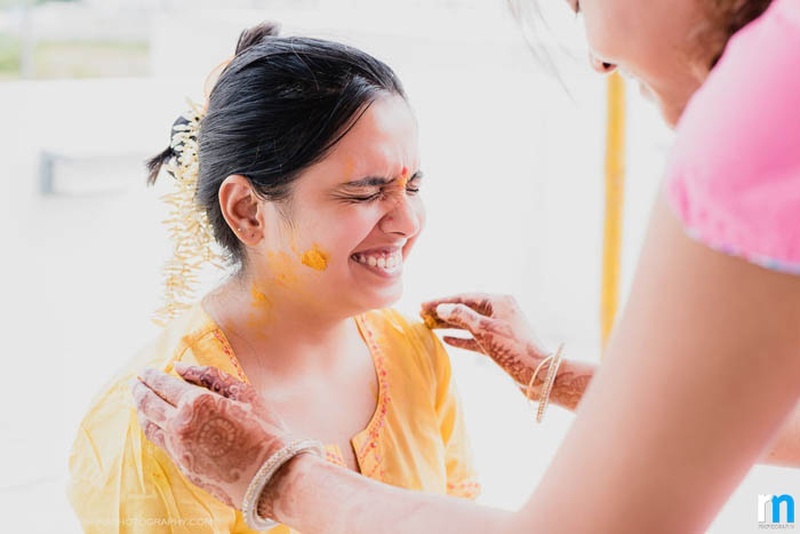 As twelve year olds, they would’ve never guessed what this mere friendship would turn into. 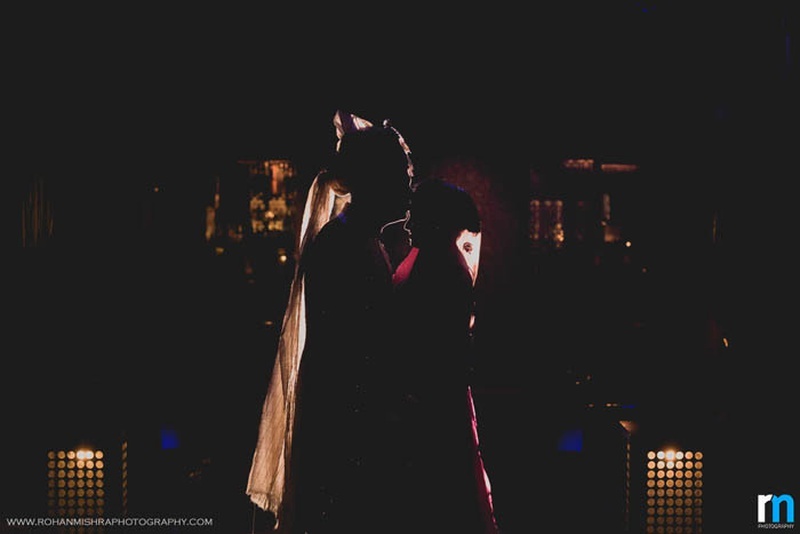 But years later, their stars aligned and so did their hearts. 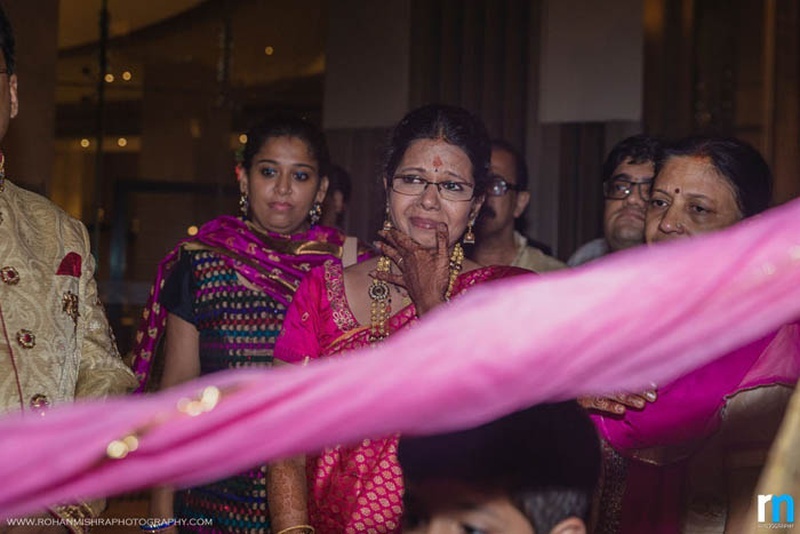 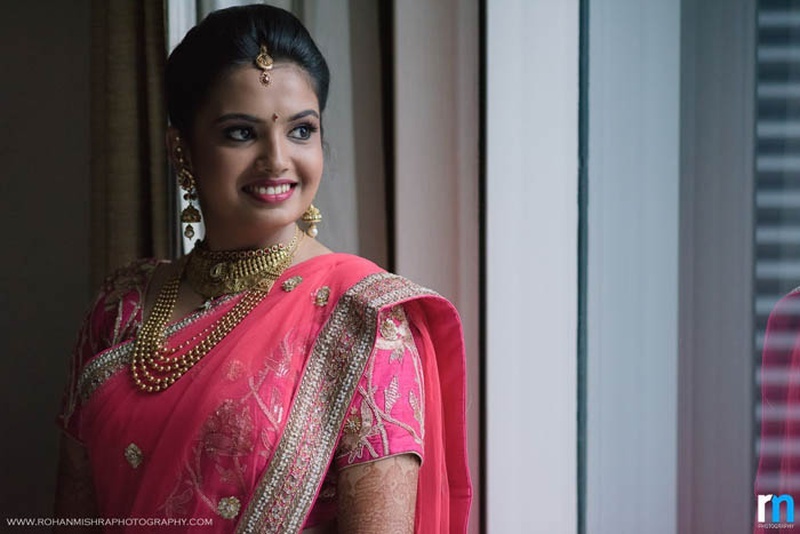 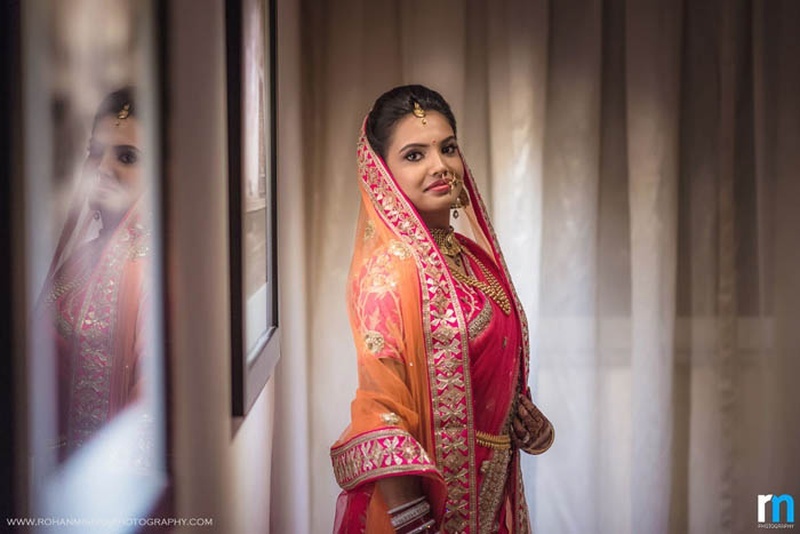 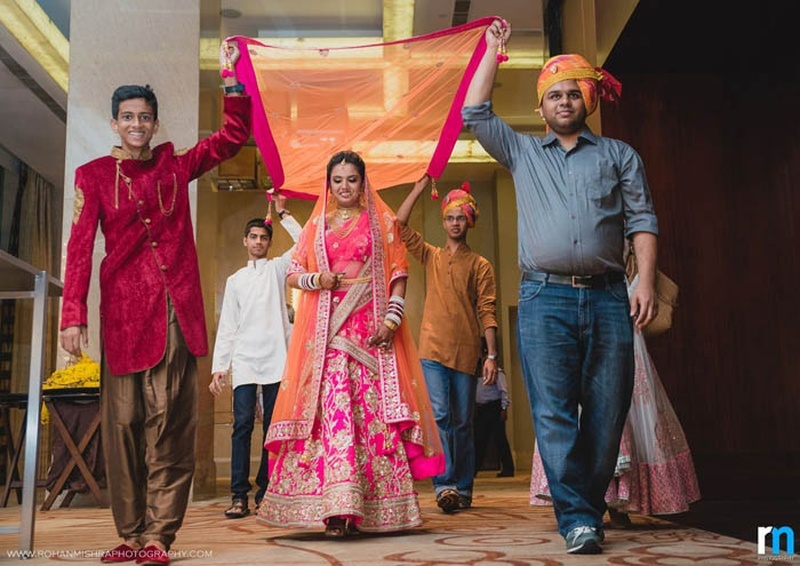 They kept it traditional, elegant and classy at their wedding ceremony held inside a banquet hall decorated with red and pink drapes. 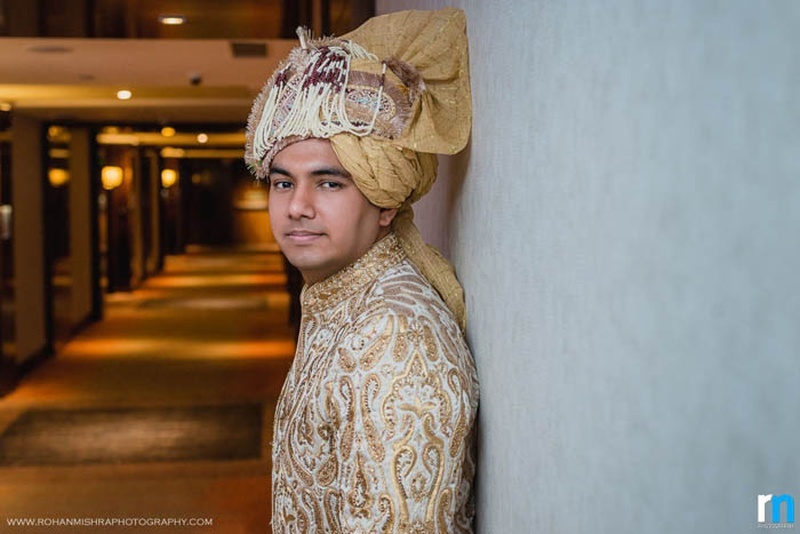 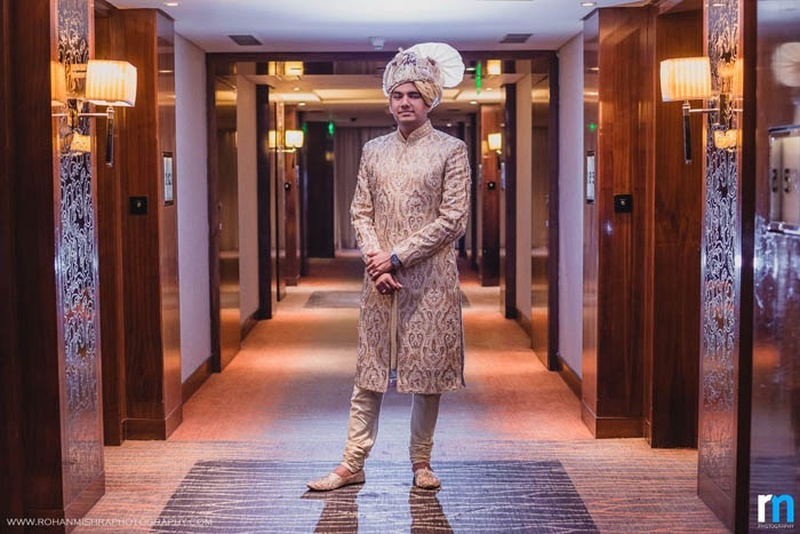 The handsome groom, Rishikesh was dressed in an off-white gold bandhgala sherwani that was embellished with gold beads all over. 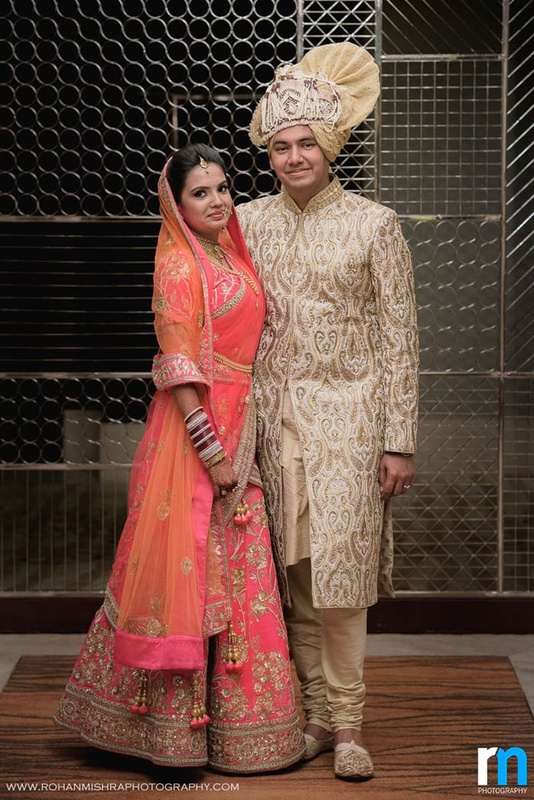 Nikita’s coral pink lehenga that had gorgeous gold sequins in intricate floral patterns complemented Rishikesh’s ensemble perfectly. 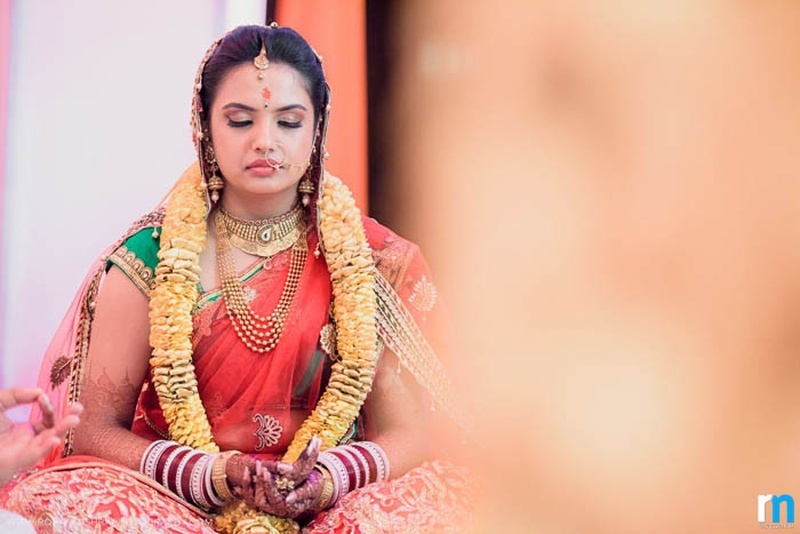 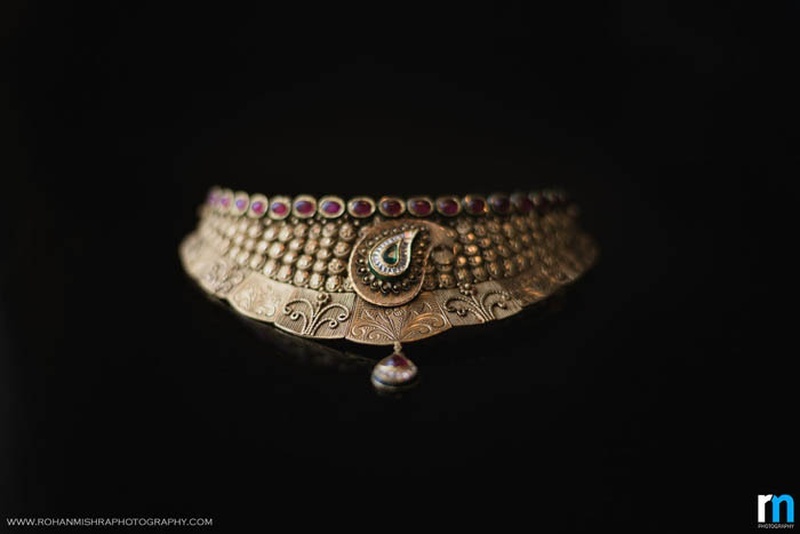 Her heirloom jewellery had our jaws dropped right to the floor! 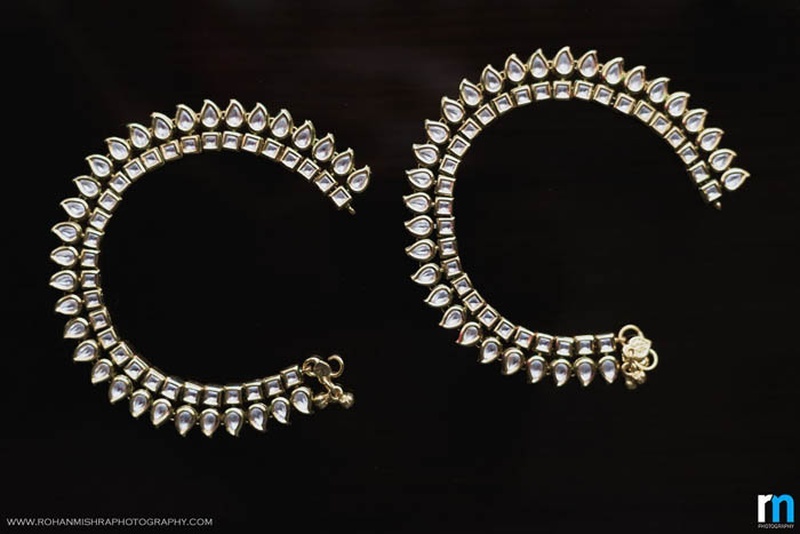 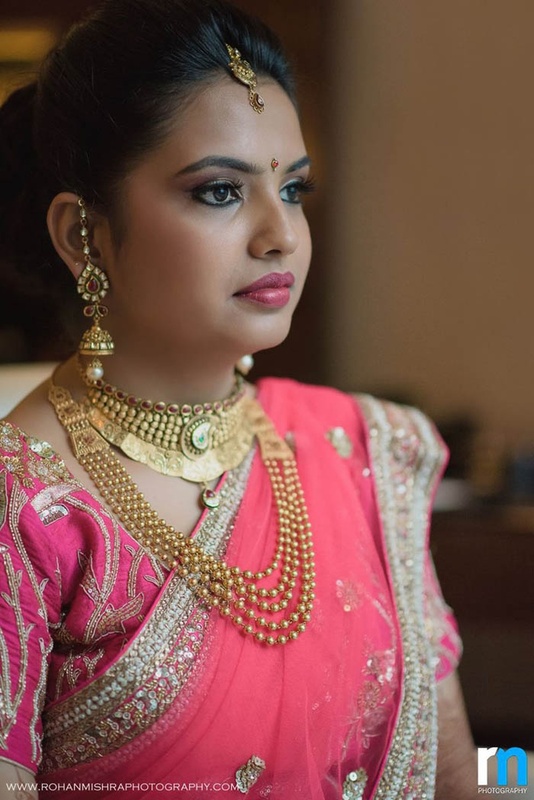 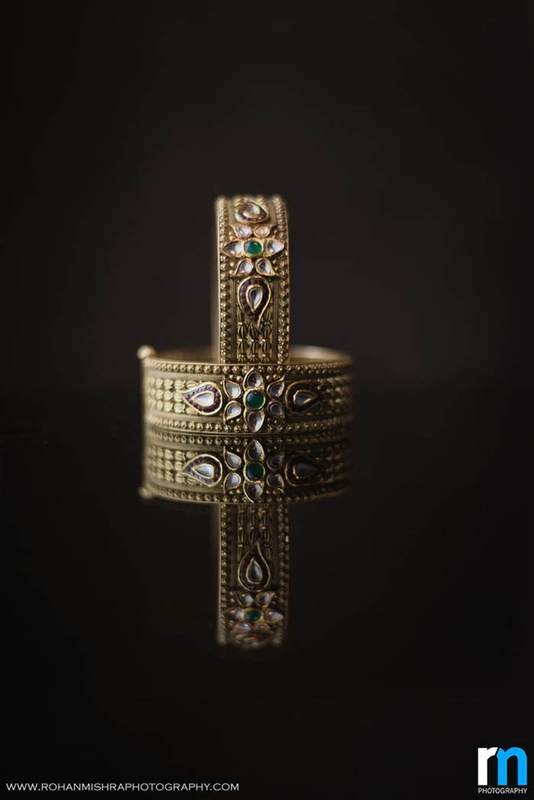 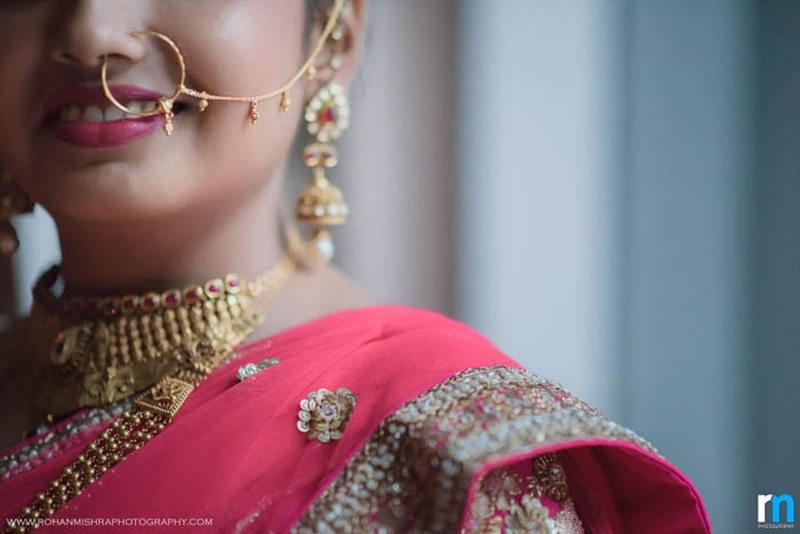 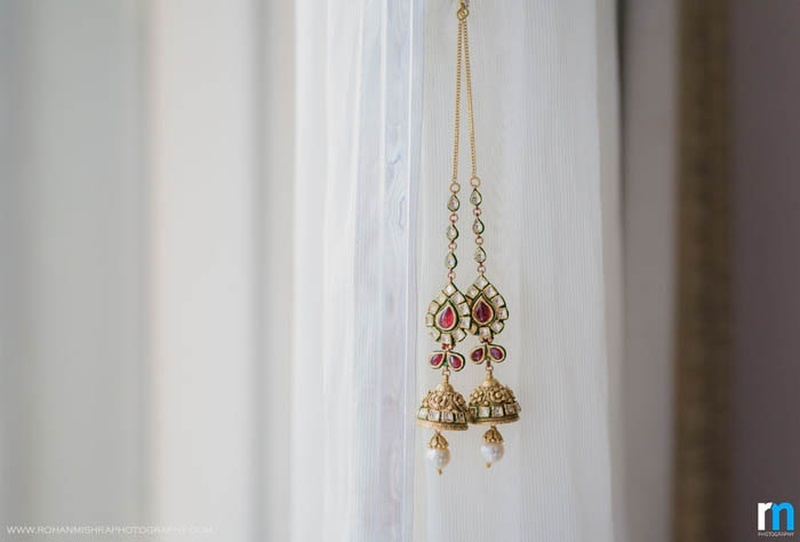 The embossed gold choker embedded with rubies and diamonds, the kundan studded earrings and the gold kangans – each adornment spoke of ethnicity and elegance. 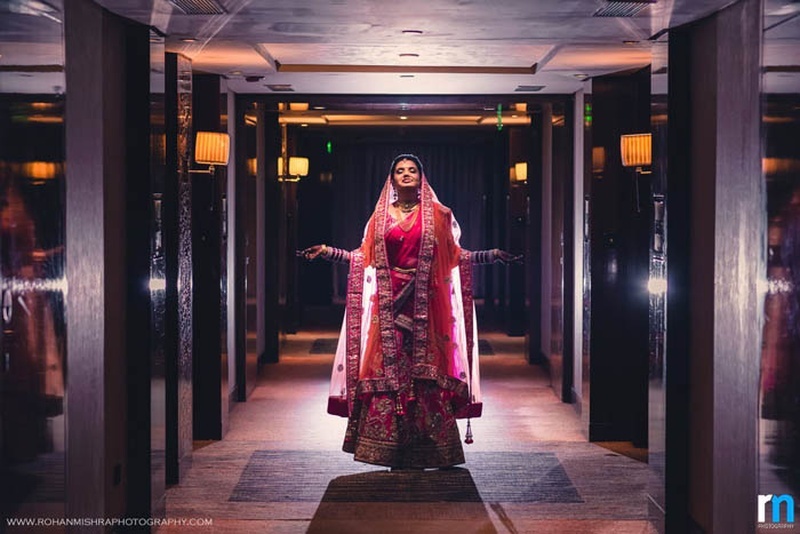 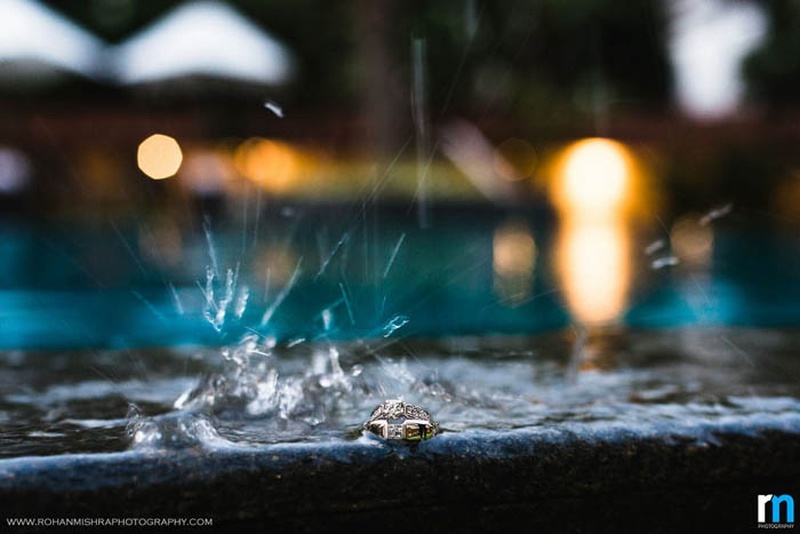 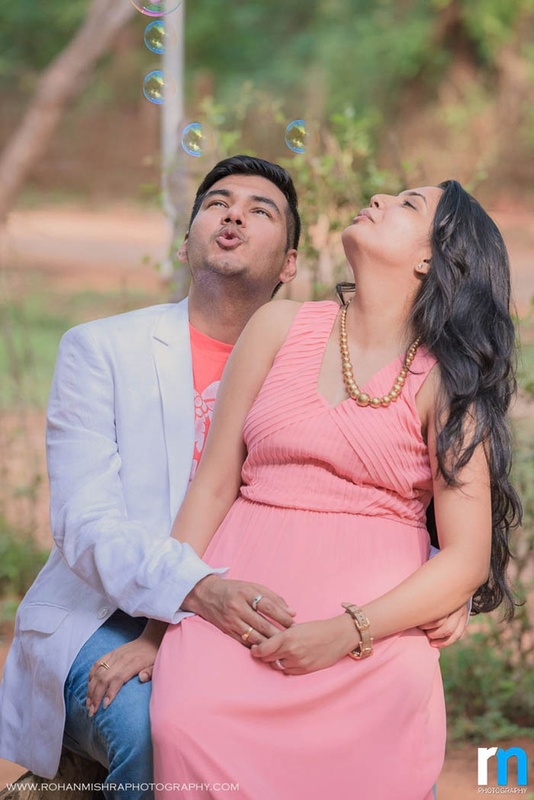 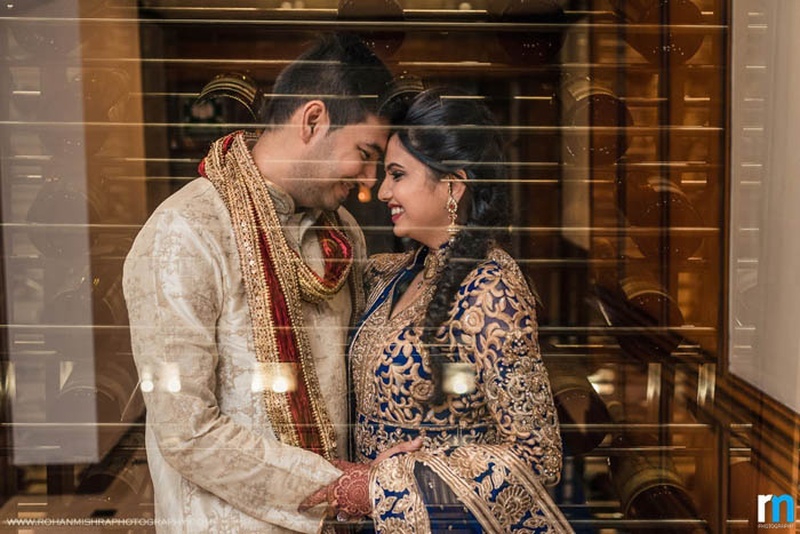 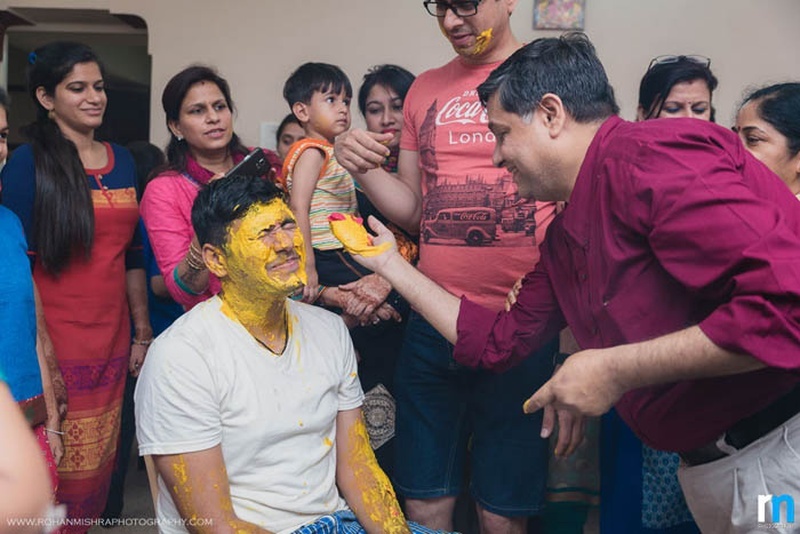 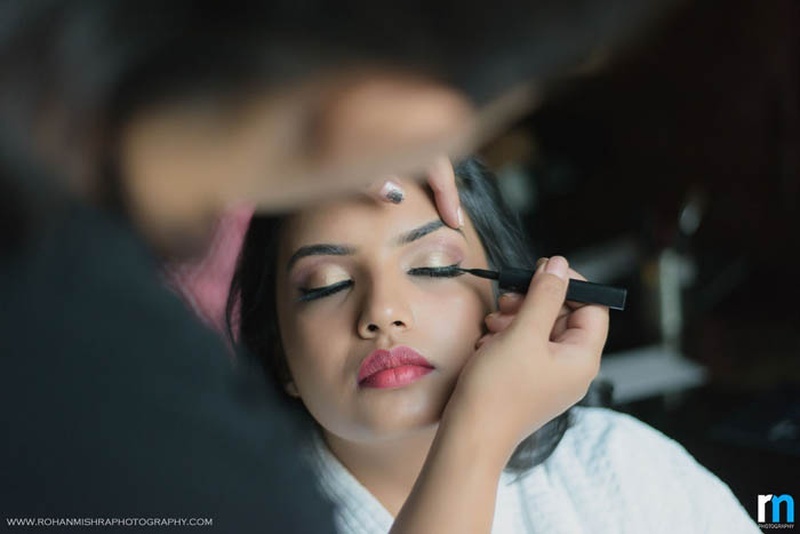 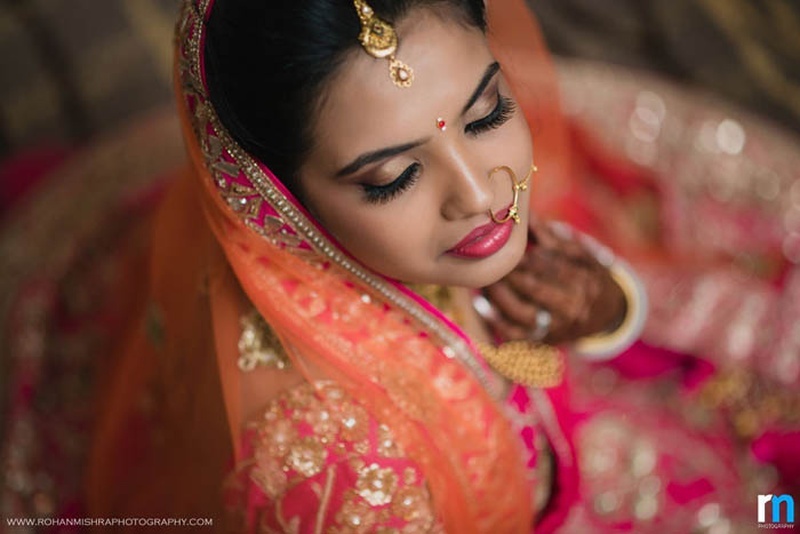 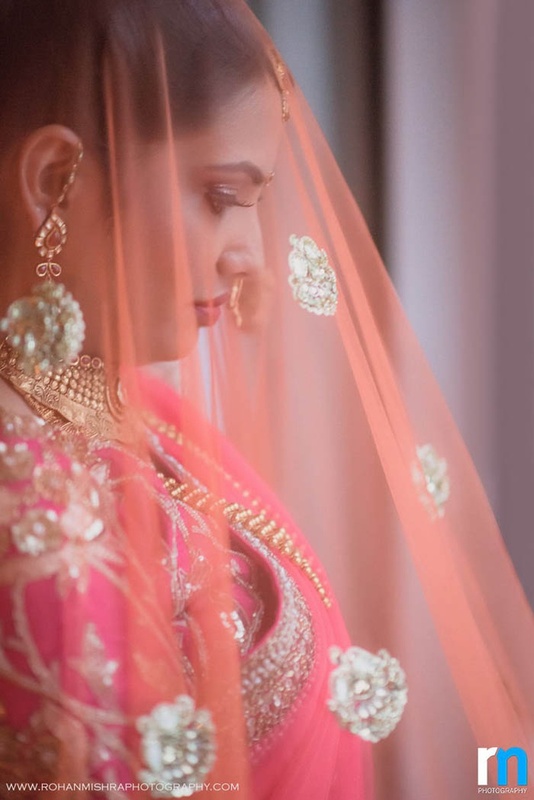 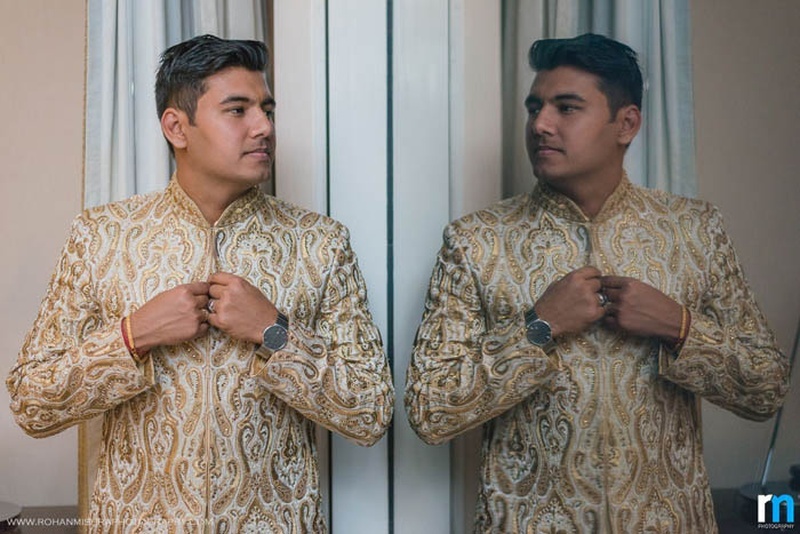 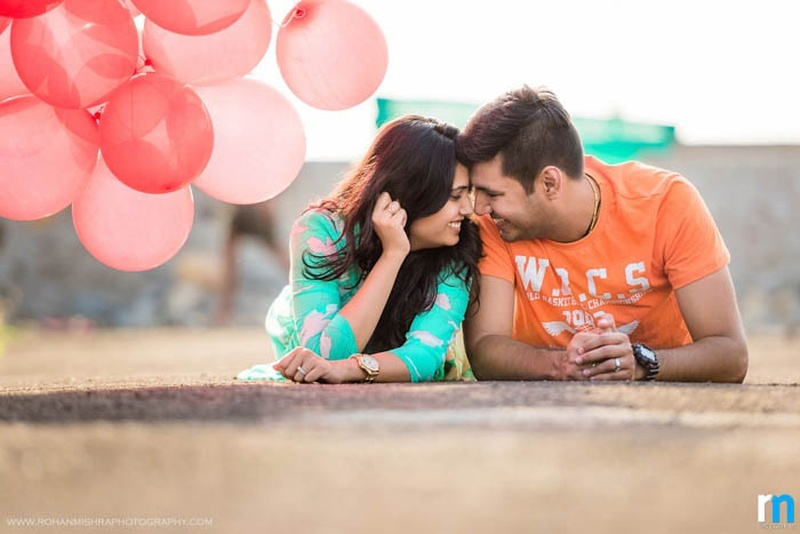 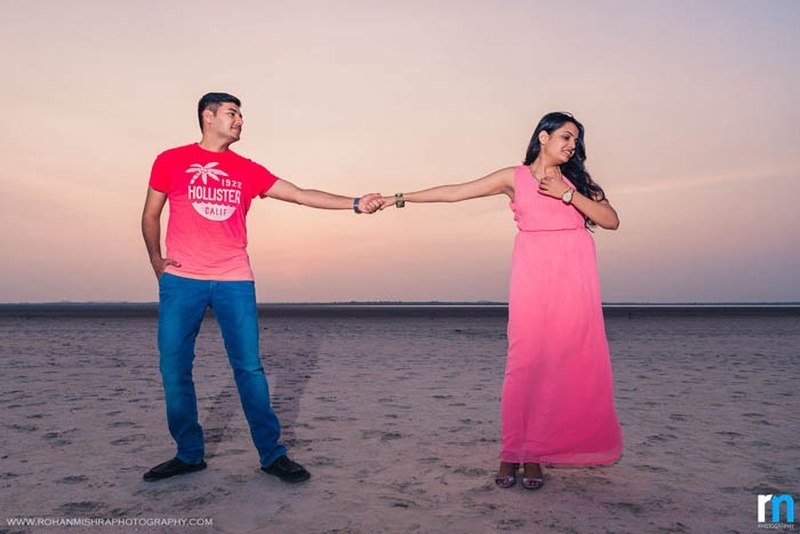 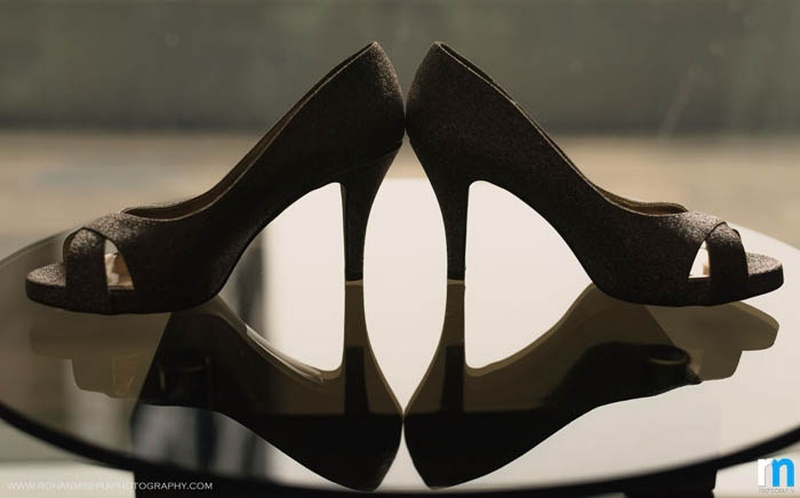 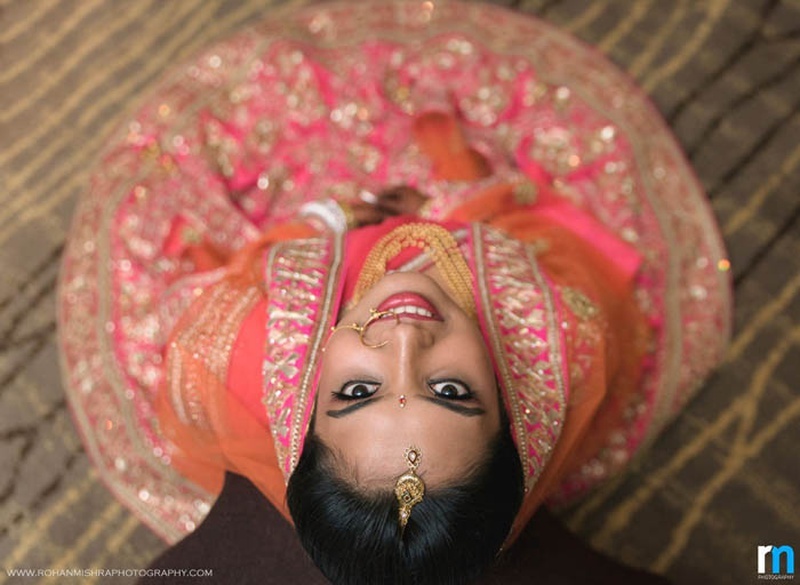 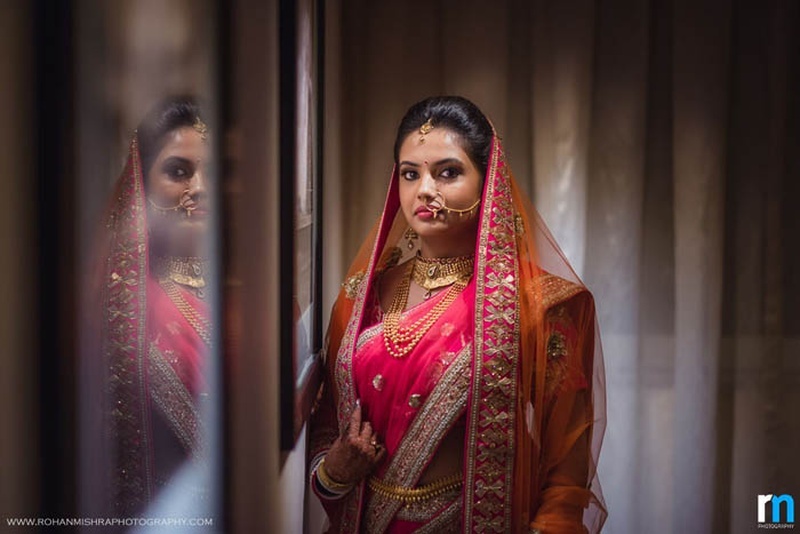 Rohan Mishra Photography captured Rishi and Nikita’s union with great creativity! 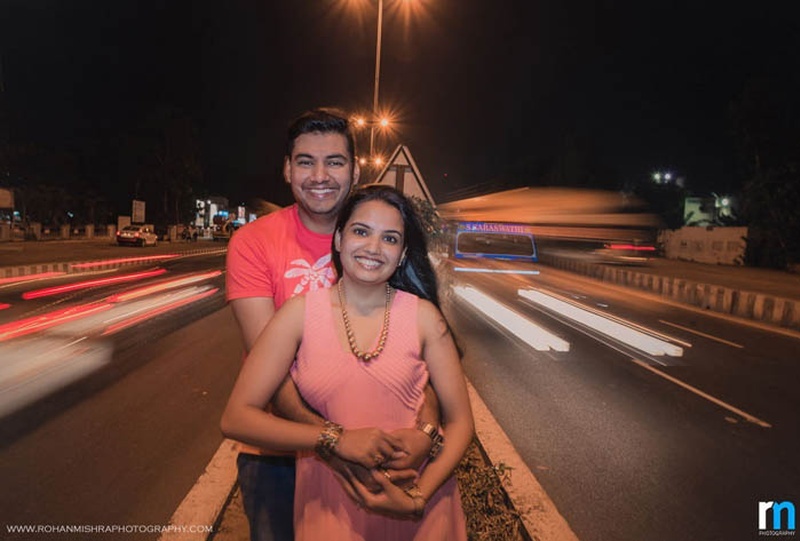 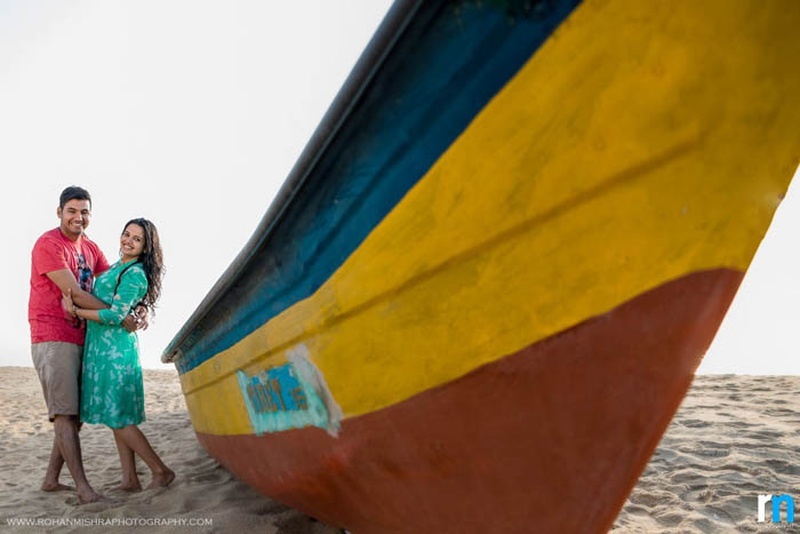 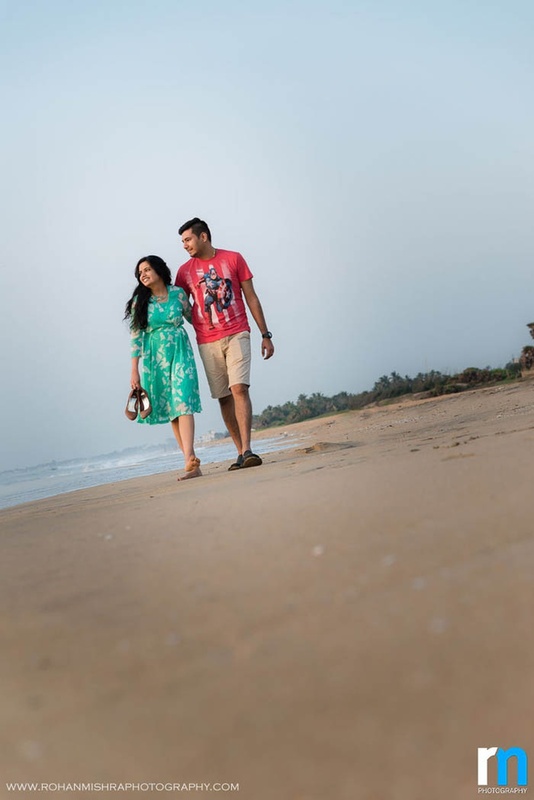 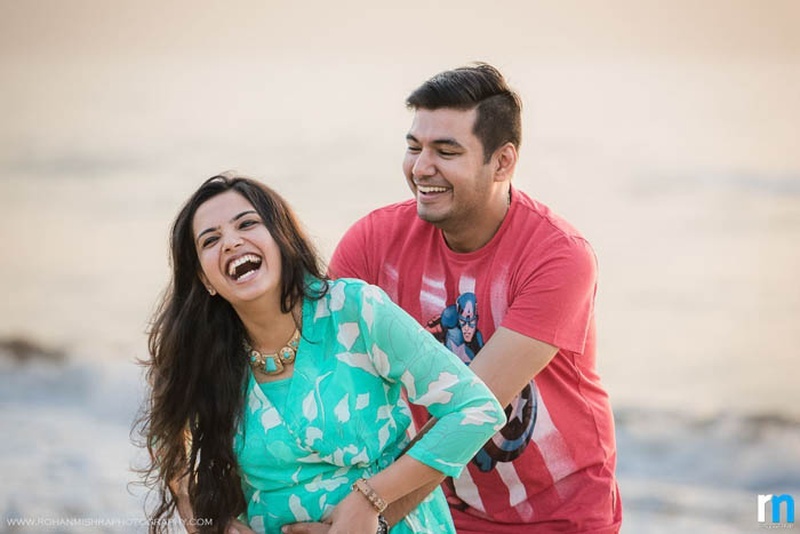 The multiple pre-wedding shoots that highlighted the fun personalities of this twosome was truly inspirational. 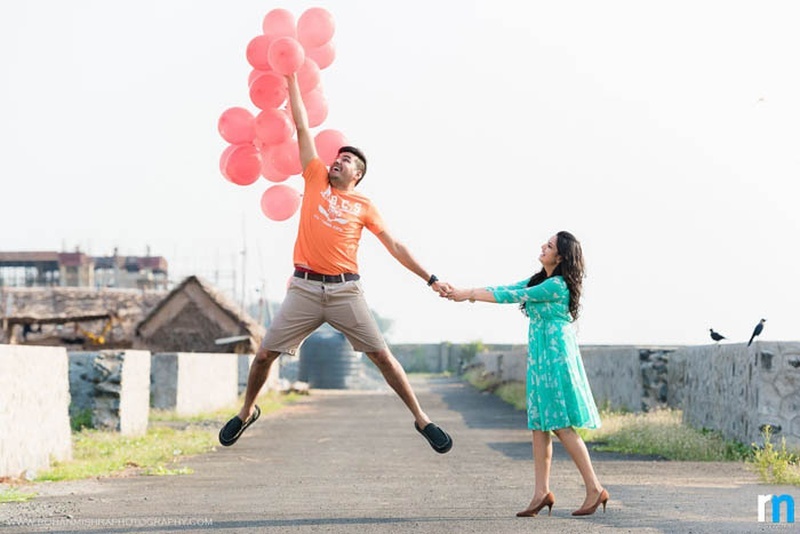 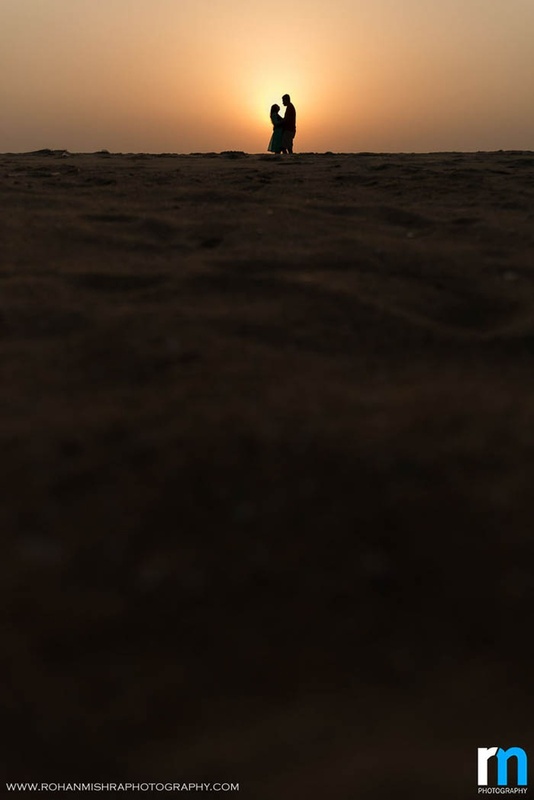 The pictures taken at the railway tracks, the incorporation of balloons, silhouettes taken at sunset – every photo is just plain amazing! 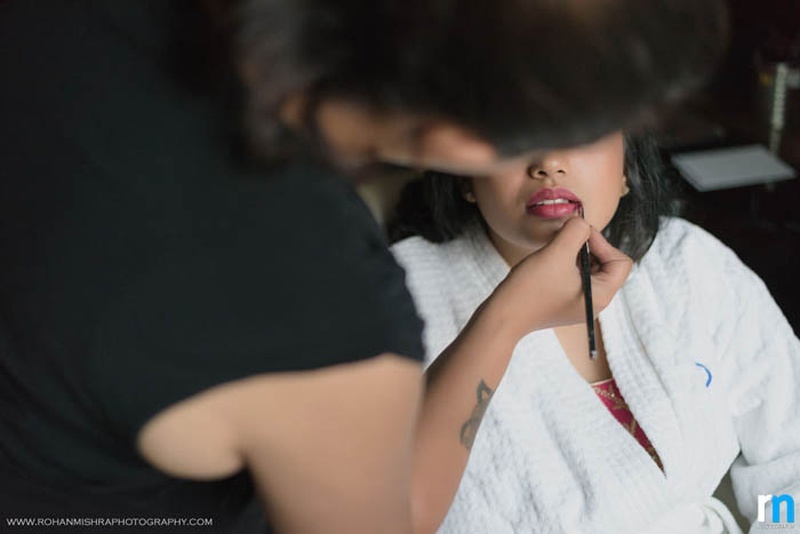 Getting ready for her most special day!